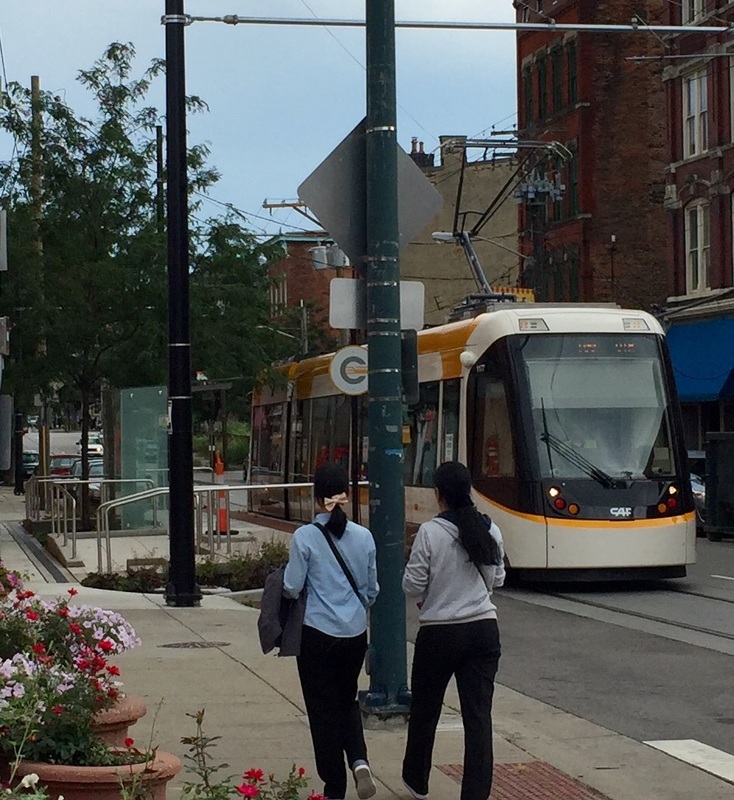 The streetcar in the city of Cincinnati last carried passengers 65 years ago. Now the city once again has new streetcar tracks and shiny sleek new streetcars quietly crossing a 3.6 mile loop through its downtown. I was at the historic Findley Market as I saw the new trolley moving up the tracks. I was surprised as it approached and there were no passengers. A friend explained they are still making sure it operates correctly and giving residents time to adjust to the streetcar being on the streets. Perhaps this is how we should begin to show up in our neighbourhoods. Let’s venture out with curiosity making our way into new places seeing what and who we discover until new habits develop. In many places supports to people on the margins are being restructured or privatized. Maybe this is a good opportunity to lay down some new tracks, building in community and inviting some new riders? The streetcar’s grand opening is September 17th.